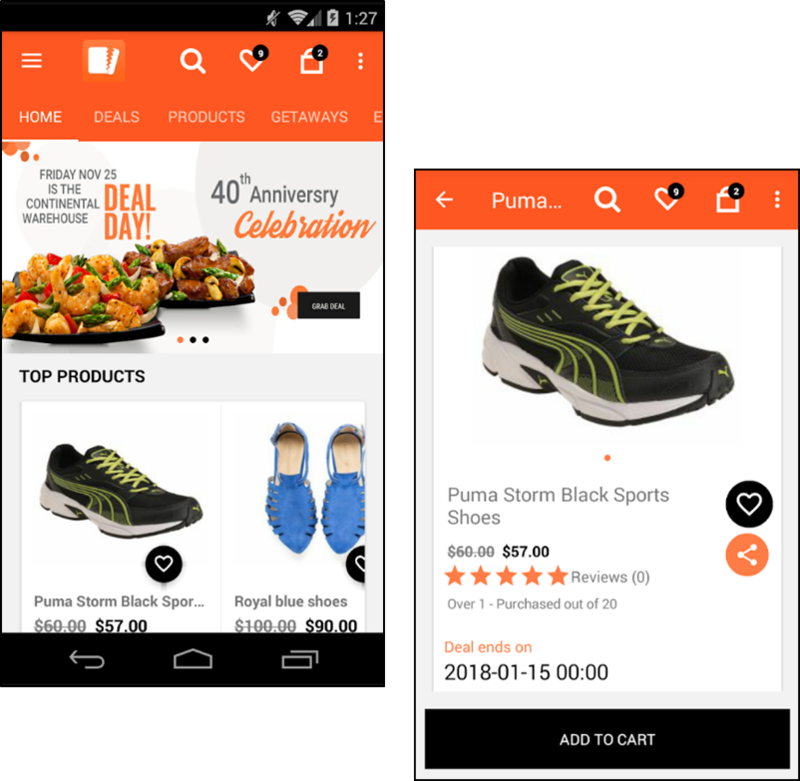 Build a daily deals marketplace that can tap into shoppers’ hunt for discounts & compete with the tycoons of deals business like Groupon and LivingSocial. 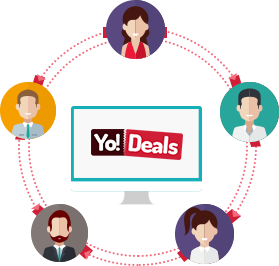 Yo!Deals offers a performance-rich solution to set up and run deals based website that can sell products too & offers best experience to merchants as well as customers. Easy deals management, multi-vendor functionality, flexible design interface & other script features make sure your website looks better and earn bigger than any Groupon clone. Also known as admin, he owns the website and makes money from sales of product and deals, ad revenue & merchant commissions. 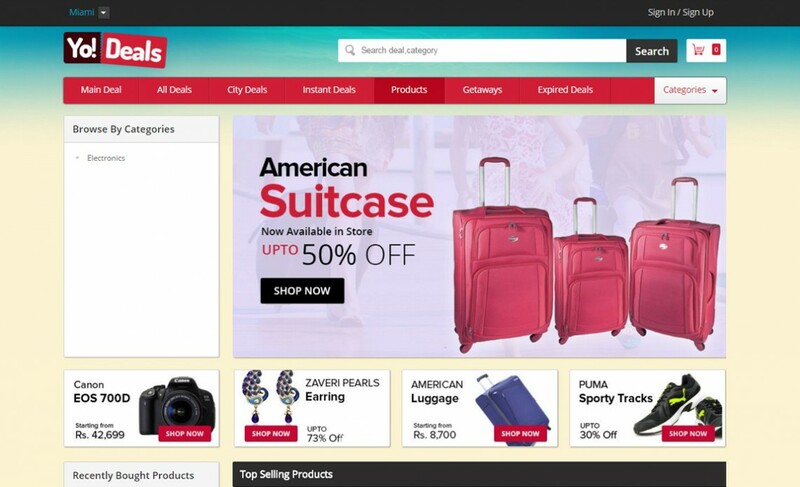 Portal owner and merchants cater to this group by listing best offers and discounts. This is the party that makes product purchases. 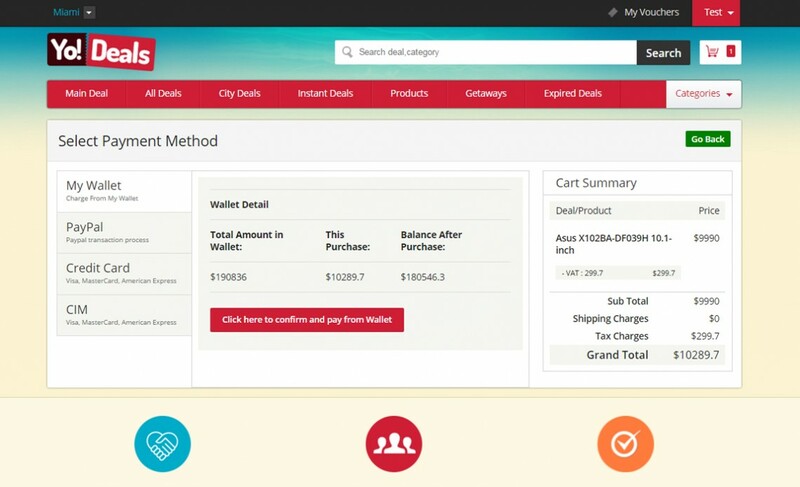 Using Yo!Deals system you can cash in on daily deals model, promote discount vouchers, sell flash deals online and earn income as commission from merchants for all deals and products sold. 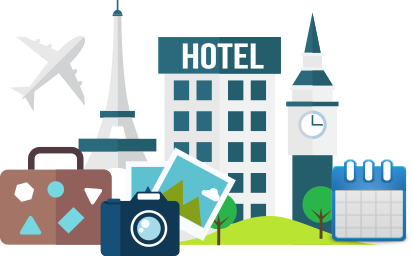 YoDeals packs functionality that helps site owners list getaways and earn commission on every travel booking. 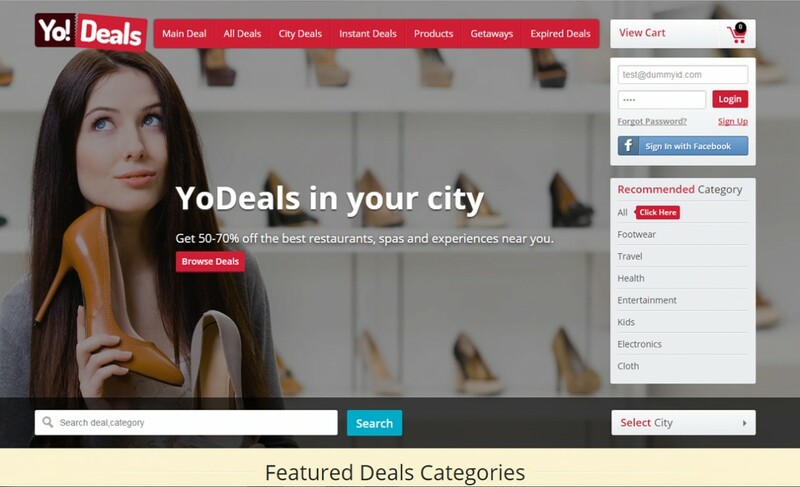 In short, YoDeals can accomplish a lot more. Have a look at its amazing features, and be prepared to be astounded! 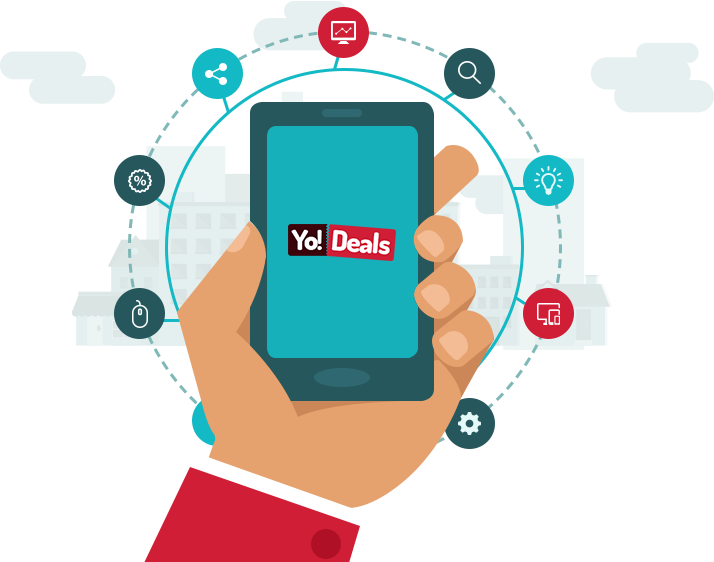 Yo!Deals – Online Deals Marketplace solution comes with ready to launch android and iOS mobile application. 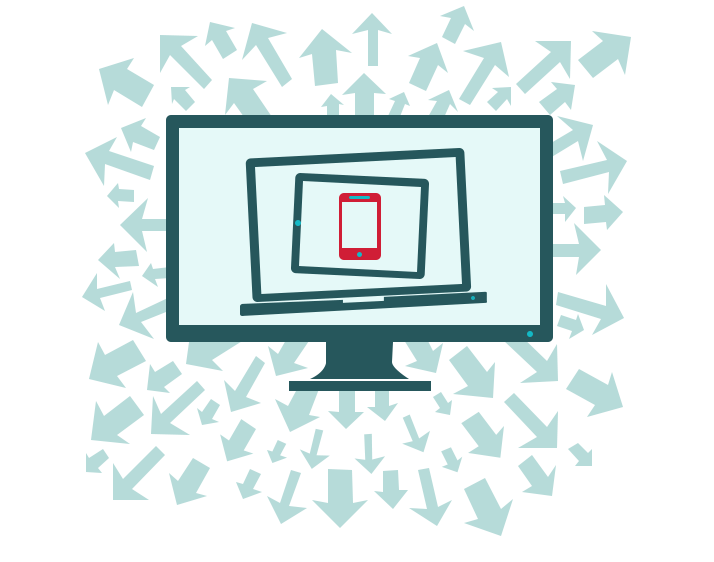 Both mobile application are designed and equipped with all essential features to make buying deals an enjoyable experience. 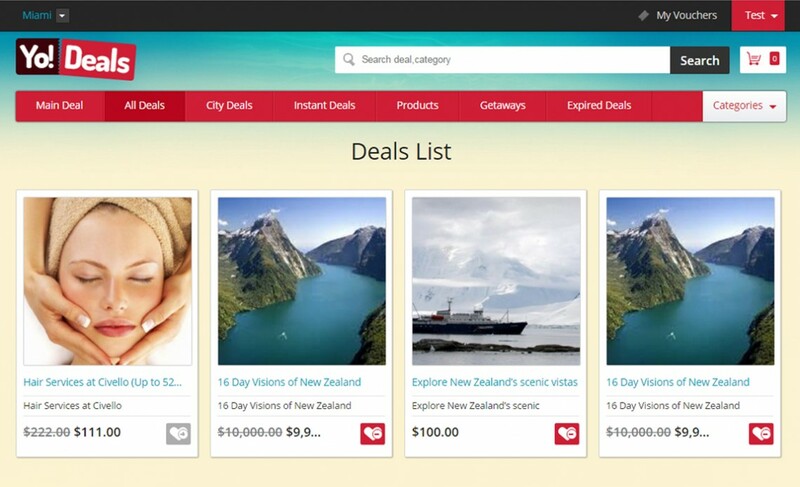 Launch a deals marketplace that can sell local deals and as well as products. 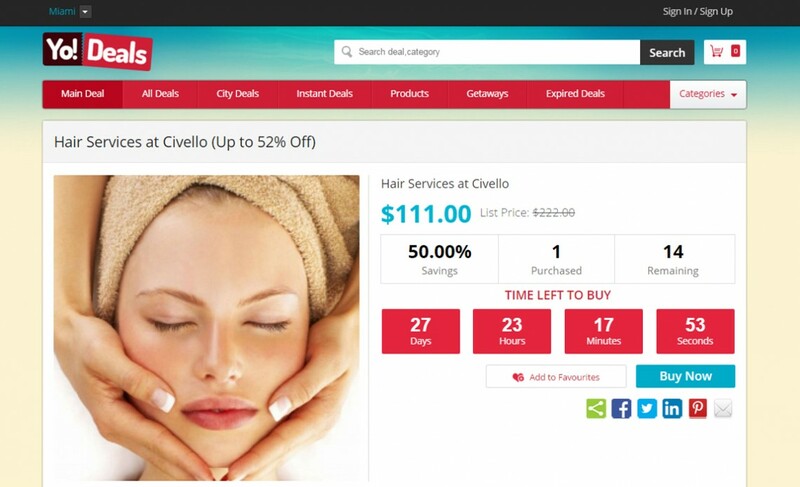 Yo!Deals features that outclass daily deals clone scripts & website builders. 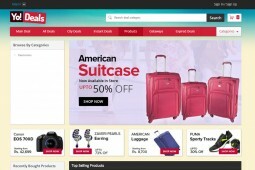 Responsive design technology of Yo!Deals draws smartphones, tablets & mobile deviceusers to site. 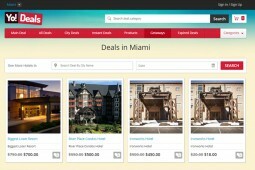 Yo!Deals simplifies the addition and editing of deals on portal with its easy-to-use deals management system. 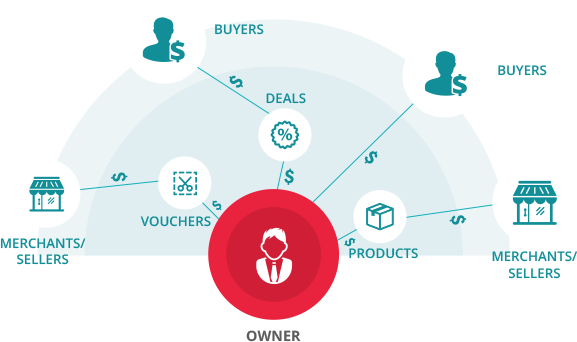 We make sure that redeeming a voucher is hassle-free as it’s a key feature of Yo!Deals group buying system. Your online payments are safe with Yo!Deals as it protects user information & offers highly secure mode of transaction. 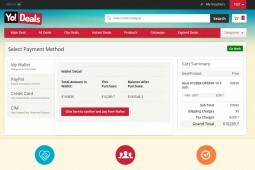 The in-built accounting system helps website owners to manage all transactions & track commissions easily. 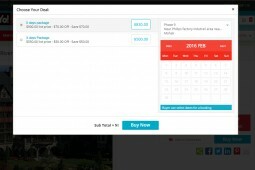 Yo!Deals system comes with social media login and sharing features. Get marketing and sales benefits from social media networks. 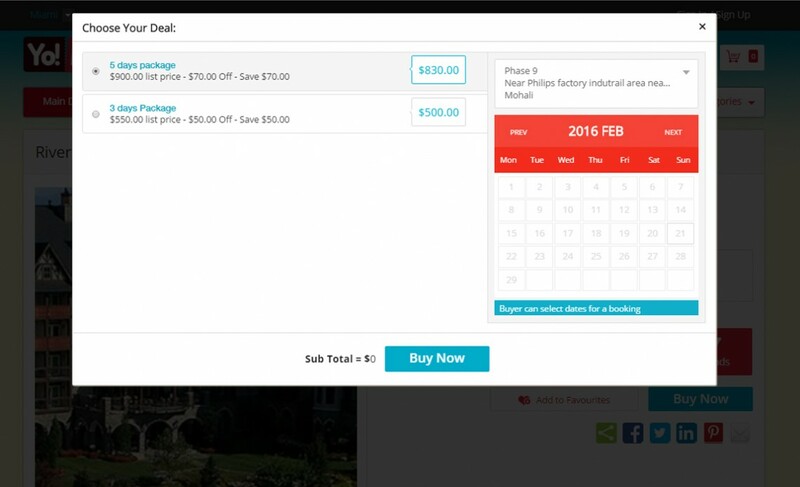 Start your group buying business with Yo!Deals to rule local deals market. "Thank you for Yo!Deals, and great after-sales support! 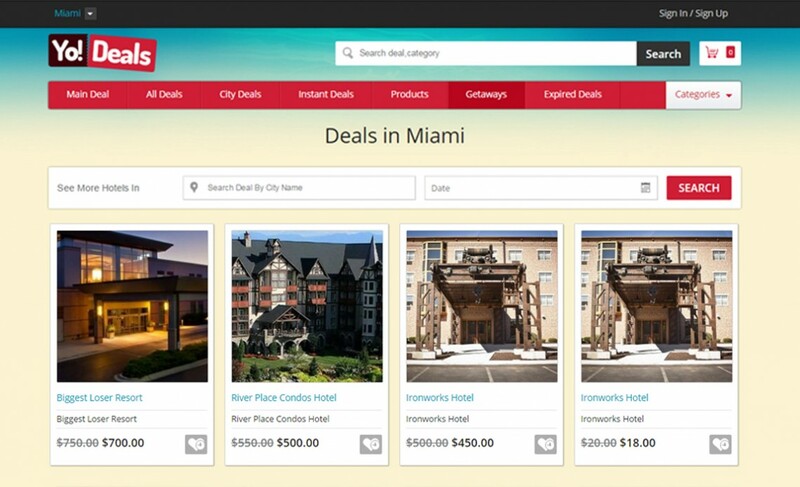 The deals platform completely suits our business ambitions, and includes amazing features for scalability. 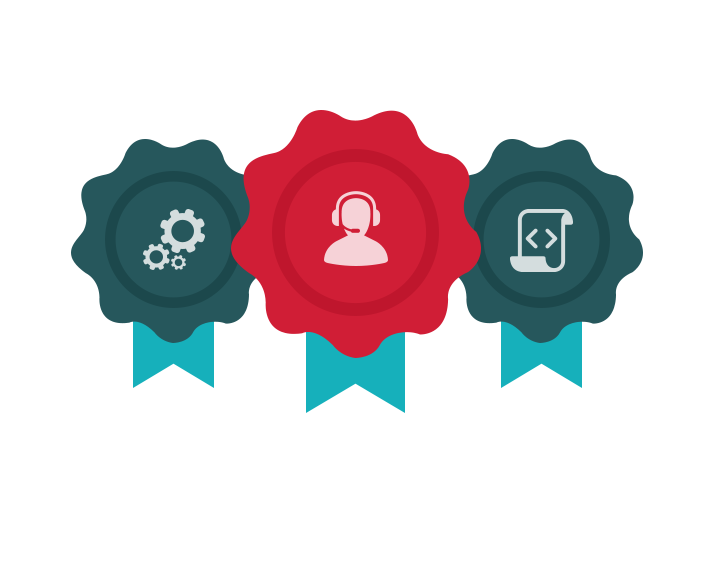 You’re a great team committed to solve every query and technical issue. Keep going, and best of luck! 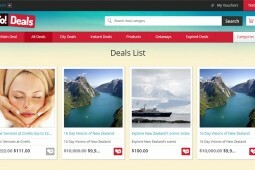 Do you want to know more about Yo!Deals? Write your name & leave email address to get prompt assistance from our experts.